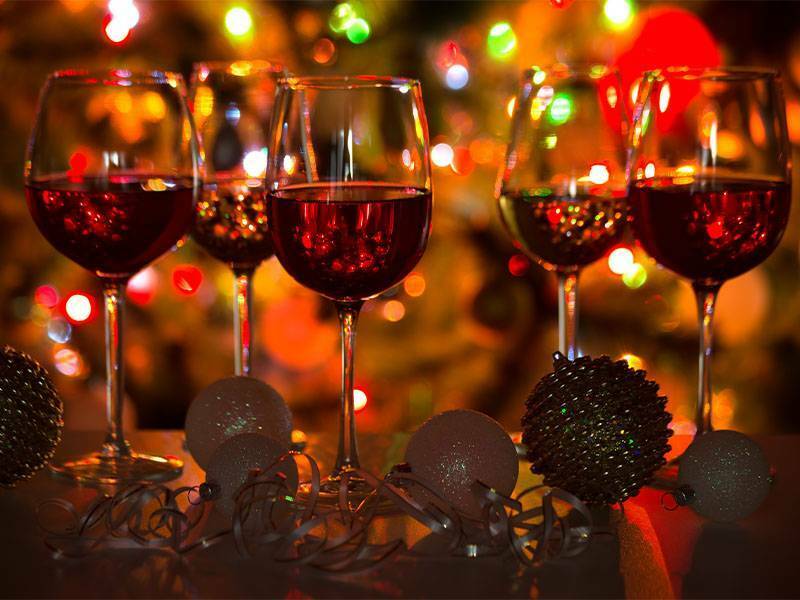 Twelve Wine Days of Christmas - City Vino, Inc.
12 Drummers Drumming – Our drummers are going rogue and breaking out into their own rendition of “Wild Thang” after which they’ll be enjoying a glass of Carol Shelton Wild Thing 2015. 11 Pipers Piping – The pipers have finished their last performance of the season and have decided to change things up from their usual scotch whiskey and are relaxing with a big glass of Rack & Barrel Bourbon Barrel Red Blend 2016. 10 Lords a Leaping – After an active day of leaping, Lords love to repose by the fire with a cigar and a nice glass of Croft Port Reserve Tawny Porto. 9 Ladies Dancing – Following graceful moves on the dance floor our elegant ladies are drinking Roland Champion, Champagne Grand Cru Blanc de Blancs NV. 8 Maids a Milking – Milking cows is hard work and the maids are have put their feet up on their milking stools and are kicking back with a lovely glass of The Shepherd Estate Red 2014. 6 Geese a Laying – Those silly geese have gone a-fowl and are imbibing on Virginia’s own Rogers Ford Sumerduck Rose NV. Duck, duck, goose, indeed. 5 Golden Rings - Nothing shimmers like gold in your glass more than a rich, luscious Sauterne or Tokaji. Try our Lauvignac Sauternes 2014 or Evolucio Tokaji Late Harvest 2015. 4 Calling Birds - One of the most famous calling birds is a rooster, no? Did you know that a rooster is the icon for wines from Chianti, Italy that are designated as Chianti Classico? Check the label on our San Felice Agricola Il Grigio Chianti Classico Riserva DOCG 2013. 3 French Hens – Our French hens are staying local for the holidays with the Chateau de Valmer Vouvray 2016 from the Loire Valley made from the C-hen-in blanc grape. 2 Turtle Doves – The love birds are reveling in the season with this lovely Cardinal Point Vineyard Quattro 2017.